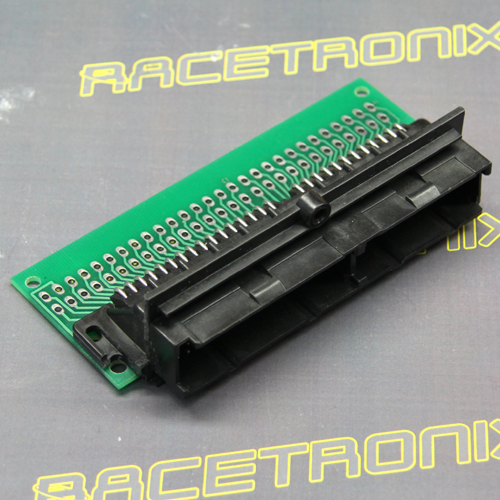 This header connector assembly is commonly used to wire up an ECM<>PCM adapter. 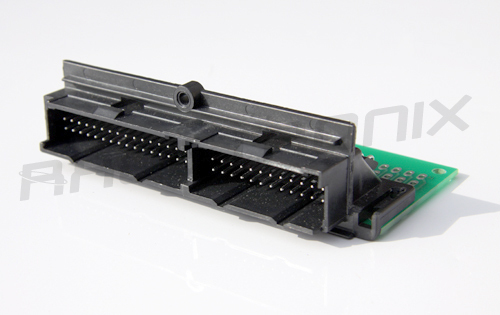 This Delphi 56-way 100-Series connector assembly is commonly used in many GM engine control modules (ECM) from the early 1980's through to the early 1990's. 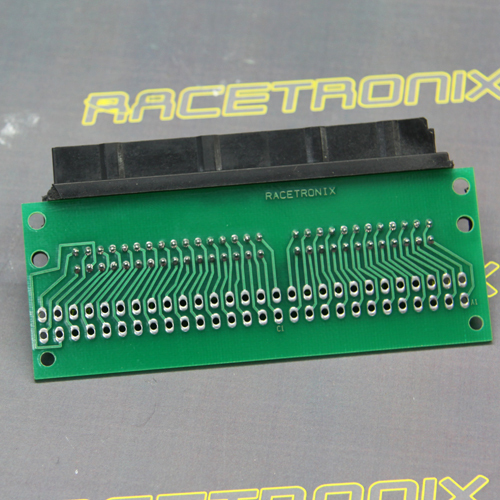 The header connector is professionally soldered to a high-quality custom glass/epoxy circuit board. Each terminal is routed to a dedicated solder pad via dual circuit traces / one on each side of the board. Each solder pad has a plated-through hole which helps prevent the solder pads from lifting. Each solder pad hole can accept up to 14-gauge wire. A green solder mask protects the traces and prevents bridging of the wires when soldering. 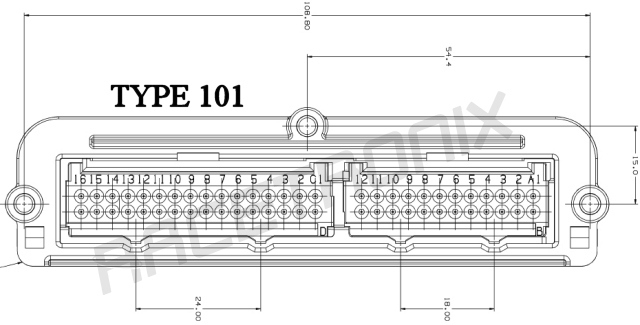 Please view the connector keying in the diagrams below and check this against your factory harness. The connector used in this product is the TYPE 101 which has the keying centered in the connector. PLEASE NOTE THAT WE DO NOT PROVIDE ANY SUPPORT ON THIS ITEM PERIOD! THIS IS A D-I-Y ITEM AND IT IS ASSUMED THE CUSTOMER HAS THE REQUIRED SKILLS TO PROPERLY UTILIZE IT. IF YOU DAMAGE IT YOU WILL HAVE TO BUY A COMPLETE NEW UNIT.